Massachusetts based Darlingside combine an almost dystopian view of the future with intricate, four-part harmonies to present an irresistible package on ‘Extralife‘. Described by NPR Music as “literary-minded, baroque, folk-pop” and with a distinctive vocal style that is reminiscent of the ‘Sunshine ‘60’s’ yet utterly modern, this is a record that reveals new depths on each listen. The vocals blend so well, such as on the beguiling ‘Lindisfarne’, it is tempting to see them as the USP of Darlingside, but that would be to ignore the superbly-crafted songs and instrumentation that lies beneath harmonies that, at times, seems like a full choir. Add to that the lyrical themes, obscure as they may well be at times, and you have the feel-good, post-apocalyptic album of the year. ‘Orion’, with its dreamy brass tinges and gentle vocal is almost hypnotic and the curious timings on ‘Best of the Best of Times’ would be the highlight of many albums. ‘Eschaton’ is a simply riveting track while album opener, ‘Extralife’, has gentle touches of ‘Because’ from Abbey Road. 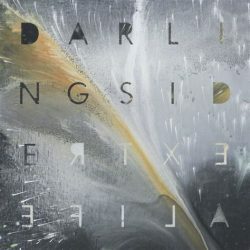 Daringside have created a dreamy, intoxicating and irresistible gem in ‘Extralife’ that has to be heard. Hypnotic and beguiling post-apocalyptic, harmonic alt-folk.